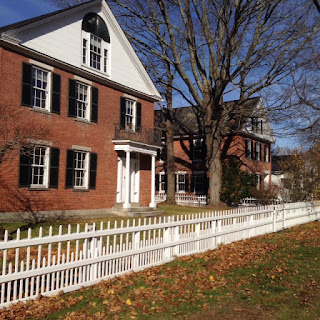 This blog highlights the history of the Upper Valley towns of Vermont and New Hampshire. TWO OF MANY: These two brick houses on Main Street in Orford are just two of the numerous brick structures built in the region during the 19th century. The house on the left was built in 1831 by Orford's first lawyer Abiathar Briton after his previous house burned. The one on the right was built in 1835 as his office. Both are built using bricks from the Brick Hill brickyard on the Orfordville Road. “Though the material is cheap, it takes considerable care, study and experience, to make a kiln of brick that will turn out shapely, solid and handsome.” St. Johnsbury Caledonian April 9, 1880. Brick is one of the oldest man-made building materials. It was first used 10,000 years ago, with the first kiln-fired bricks developed about 5,500 years ago. Those bricks provided builders with sought-after fire-proof material. The first known manufacturing of brick in New England was in Salem, Massachusetts in 1629. Deposits of varve clay and sand were discovered in most area towns along the Connecticut River. Left by lakes formed by the retreating glacial ice sheets, these fine-grained materials were very suitable for making bricks. This column describes brick making and usage in the area from 1770 to the early 20th century. The sources include town histories, historic publications and several websites. Combining those brick makers listed in local histories with additional ones listed on the International Brick Collectors’ website, there were more than 37 individuals and companies making bricks in the region. One has only to travel along area roads to see examples of houses, churches and commercial buildings built with locally manufactured bricks. Brick houses came into fashion in the 1820s and their construction costs were competitive with framed ones of the same size. There is little doubt that a brick home was a status symbol of a family’s place in the community. Some houses that began as wooden structures were augmented with major brick additions added as the homeowners prospered. Dwellings were not the only uses for bricks. 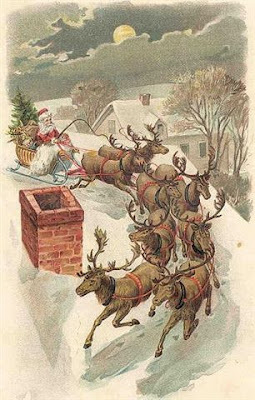 At first, bricks were used for chimneys, replacing the ones made of crude stone “laid up with clay.” Over the years, brick uses expanded to foundations, sugaring arches, brick ovens, cemetery vaults, smoke houses, fireplaces and well linings. Bricks were also used for churches, school buildings and government buildings. In April, 1880 The Caledonian published a long article on brick making at the St. Johnsbury Brick Company. The following three paragraphs contain a summary of that article, but they include some additional specific terms used in the manufacturing process. There is something more to making bricks than the digging of clay, the drawing of sand, or the forming of the mortar into shape. Depending on the demand, this company uses from nine to fifteen men and three horses. To make the mortar of the right consistency, it takes about one part sand to two parts clay mixed with the proper amount of water. After mixing in a horse-powered machine, the “soft mud” is struck or molded. It is sloppy work and the men are scantily clad. The bricks are then laid aside for 24 hours to dry after which they are laid up in kilns ready for burning. The weather has a lot to do with brick making. The old adage is that good hay weather is good brick making weather. It requires considerable skill to lay up and burn a kiln of brick. Asa Low was Bradford’s most important brick maker. From his yard above the village he produced the bricks to build for himself a brick store in 1835 and a grist mill in 1847. His bricks were also used to build a number of the homes that still line the village’s Main Street. Builders used harder face bricks for the outside of structures where they would be exposed to weathering. Softer bricks were used in sheltered locations. Low used both in his brick store, the former American Legion building, on South Main Street. Looking at the rear of that structure today, one can see the softer bricks exposed when an addition was removed. South Newbury and Wells River were the centers for brick making in Newbury. John Mills had the earliest kiln in South Newbury. Benjamin Atwood followed and, in 1833, produced bricks for $3 per thousand. He supplied most of the homes during that period in Newbury. Seaborn Eastman and his son George Eastman manufactured bricks in South Newbury, with the latter purchasing Atwood’s operation. A newspaper reported in November, 1874, Eastman was “ready to count out” his latest production. Two other brick makers listed are Charles Barrett and William Webber. In 1915, Dwight S. Stone opened a brick yard in Wells River on the road to South Ryegate. It operated for about 10 years. In 1981 Theron Carbee spoke to the Newbury Historical Society about his work at Stone’s brickyard in the early 1920s. 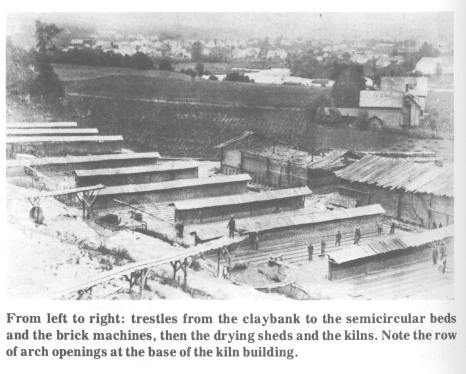 He described a more mechanized operation than the St. Johnsbury brickyard described above. Carbee said blue clay was mixed with lime to promote hardening. With about 40,000 bricks being fired at a time it took 300 or 400 cords of wood burned over 13 days to complete the process. An expert supervised the firing. Some of the bricks were in demand for ornamental use. “As they melted on the ends, they acquired the texture and color of green glass,” Carbee explained. When finished, the bricks were loaded on railroad cars for shipment. In Thetford, there were several brickyards. The one operated by Hezekiah Porter in Thetford Center in the 1820s and 30s produced bricks for the Town Hall in 1830 and Thetford Center Church in 1836 as well as a number of homes, including his own. The New England Business Directory of 1856 lists Thomas G. Sanborn of Thetford Center as another brick maker. George C. Taplin began his East Corinth brick business in April 1876. The local newspaper reported that in 1880 he fired 160,000 bricks in kilns “almost a century old at the time.” Ananiah Webb also produced bricks in South Corinth. Of all the structures made from brick, the most intriguing was “Chapman’s Folly” in East Corinth. Begun by John Chapman after 1820, it was modeled after a mansion he had seen in Philadelphia. It was said to contained 100,000 bricks from local kilns. Costing over $15,000, it was the only brick house in that village. It was the Chapman’s “pet project,” and as he became elderly “the mansion was still unfinished, only one or two rooms being habitable.” When it was sold in 1871, an article in Bradford’s National Opinion reported: “Uncle John and his house appear somewhat alike, dilapidated by years, and well might he say that ‘All this is vanity and vexation of spirit.’” The house was used as a short time as a hotel, but burned in 1899. The original Blake Memorial Library was built on the site. In Fairlee, Milo R. Jenkins was a brick maker from 1882-1888. Another firm under the name Jenkins & Carr was listed in 1883. In West Fairlee there is a mention of C. L. Houghton in 1872. Perhaps the bricks for the West Fairlee District 4 School came from his yard. The St. Johnsbury Brick Company was established in 1871 and manufactured common and pressed bricks as mentioned above. In 1877, it was producing 200,000 “good bricks, at prices to suit the times.” In 1881 it was owned by N. P. and T. H. Bowman and within a decade was producing 1 million bricks each year at its operation in Paddock’s Village in St. Johnsbury. Bricks were first manufactured in Ryegate from 1825 to 1859 by John McLure. 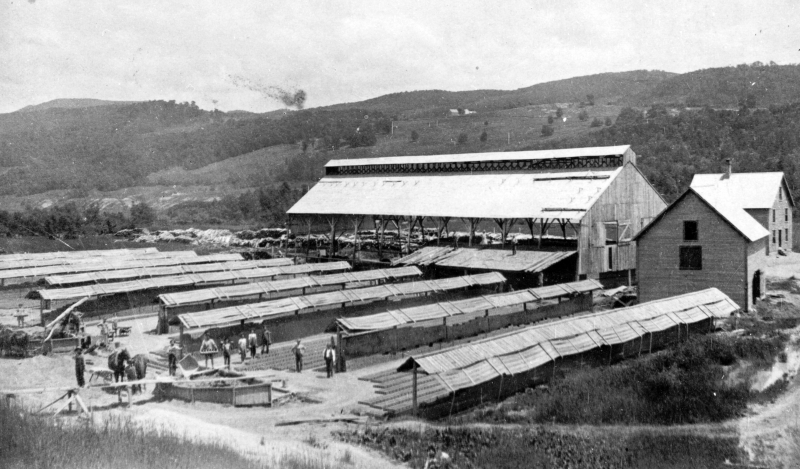 In 1890, Martin Gibson opened a brickyard in South Ryegate and his company was a competitor of the St. Johnsbury firm. According to the Ryegate history, Gibson produced about 1.5 million bricks yearly for the first six years. In 1896 he put in a steam brick plant and greatly increased his production. That production reached 2.5 million bricks annually worth about $14,000. Gibson called on Congress to set a higher tariff on imported bricks because of the unfair competition posed by cheaper production costs abroad. He reported that he employed about 25 men for a 60-hour week at wages between $1.50 and $4 per day depending on skill levels. In 1893, it was reported that the brick works “was alive with Frenchmen” and, at least once, Gibson was cited for hiring illegal Canadian workers. The company’s bricks were of superior quality and used in a number of buildings in northern Vermont and New Hampshire. Local buildings that still stand include the old bank building in Bradford and Tenny Memorial Library in Newbury. In 1904, the brickyard was leased to Nelson and Wallace. Bricks were also manufactured on the New Hampshire side of the river. In Orford, the first brickyard dates from the 1770s. In 1828 it was reported, “The Orford brickyard was busy producing a large quantity of bricks for James Dayton.” Later the name of Abner Powers was connected with the brickyard in 1856 and thenThomas Mann in 1861. Isaac Hartwell owned it for a time and then sold it to John Carr in 1883. The Olcott Fall Corp. purchased it in 1885. 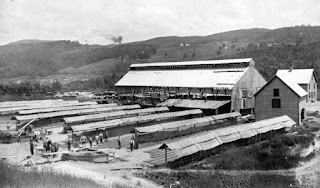 In 1904 J. S. Hastings purchased “the old brick yard” from Henry Wheeler. This brick yard, located on what was known as Brick Hill, is near the present Rivendell School on the Orfordville Road. Wendell Woodward of Orford grew up in a nearby home and recently told me that he recalls piles of brick left over from the operation. A number of remaining village homes were built with bricks between 1822 and 184. These including two on the Ridge. The former Universalist Church (1840) and the Orford Academy (1851) were also constructed of locally-made bricks. Brick making took place in Piermont as early as 1789. In 1832, Isaac Bickford of Piermont manufactured the bricks used to build his own house just south of the Piermont town line (now Ariana’s Restaurant). At one point a large commercial yard was operated by Arthur Runels. The first mention of brick makers in Haverhill was a firm owned by Eli, Newhall and Asher Pike in the 1820s and 30s. Bricks from their operation were used in the construction of the Brick Church and old county buildings at Haverhill Corner,now the Haverhill Library and Alumni Hall. Other individuals mentioned as having connections with brick manufacturing in Haverhill are Harvey Wilmot (1860), John Lawrence (1875), Elisa Meader (to 1876) and the North Haverhill Brick Company (1877-1883). There were also Woodsville yards operated by Charles C. Smart (1878) and Ira Whitcher (1886) on Mill Street in Woodsville. Smart also operated a yard in Rumney from 1875 to 1893. 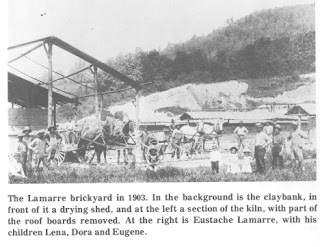 Eustache Lamarre started a brickyard in Woodsville around 1894. He had worked at Martin Gilson’s in East Ryegate and Ira Whitcher’s in Woodsville. He hired a number of French-Canadian workers including four of his own brothers. His company’s bricks were used to build a number of local buildings including Woodsville High School, North Haverhill Library and two blocks on Central Street. They were also shipped by train to Massachusetts. The company later moved to Bath and continued to operate until 1922. There were different types of bricks depending on intended use. These varied from front bricks to ornamental and fire bricks. Some yards produced both water struck bricks and sand struck bricks, terms that referred to the method used to remove the unfired brick from the molds, the former being more desirable despite being more expensive to manufacture. Over the years, the entire process became more mechanized with horses being replaced with steam or electric machines and trucks and railroad cars replacing wagons. Those who are interested will find additional materials online. As you drive around the region look at the brick structures that can be found in every community. While some have disappeared, others can still be seen on village streets and rural roads. Whether graceful as an elegant mansion, as utilitarian as a commercial building or sturdy as a church, they stand in tribute to the brick makers and bricklayers of our past. Honor their work with your appreciation. I am the Curator and past President of the Bradford Historical Society. I retired after teaching social studies in Bradford for 42 years, beginning at Bradford Academy in 1964 and finishing at Oxbow High School in June 2006. Throughout my teaching career I emphasized local history as a bridge to understanding United States history. This column has been a major activity of my retirement and I thank those who helped me research the topics and edit the writings. The towns covered include Thetford to Ryegate in Vermont and Lyme to Haverhill in New Hampshire. I have sold out of my first book IN TIMES PAST: ESSAYS FROM THE UPPER VALLEY, which raised $5300 for the Bradford Public Library. Book Two is now available by mail for $20, check payable to the Bradford Public Library, sent to Larry Coffin, PO Box 490, Bradford,VT 05033.